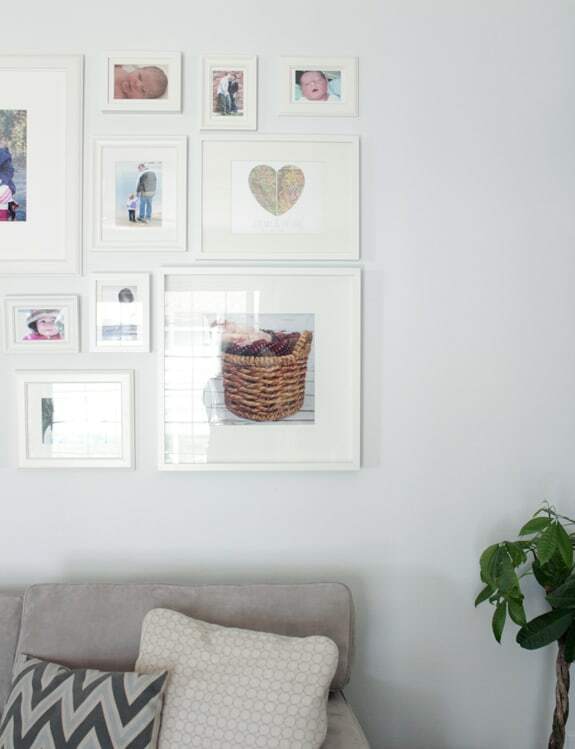 I love unique art and I love a picture collage wall that isn’t just pictures. 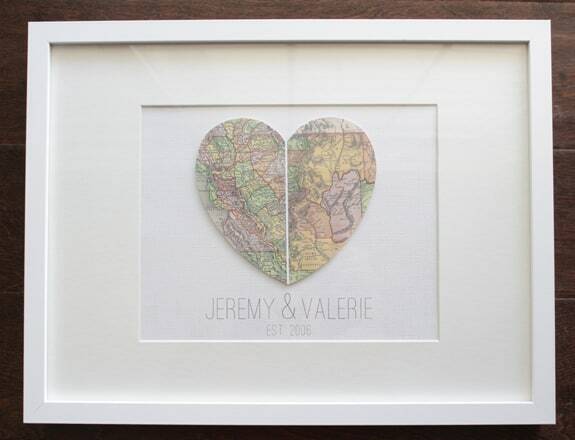 Enter…map art. 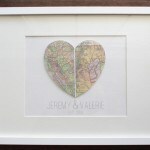 I’ve seen map art EVERYWHERE and I think it’s a fabulous idea. 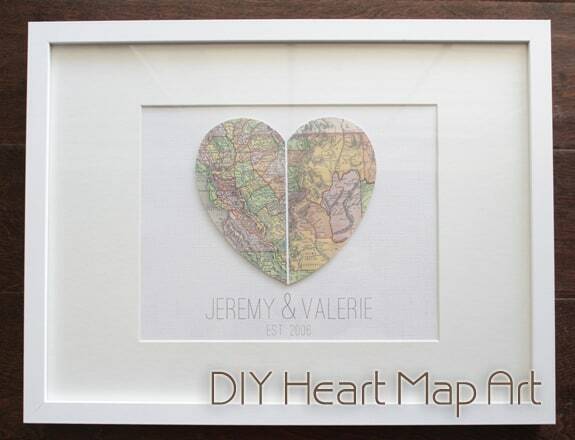 One of my favorite ways to utilize map art is in hearts. 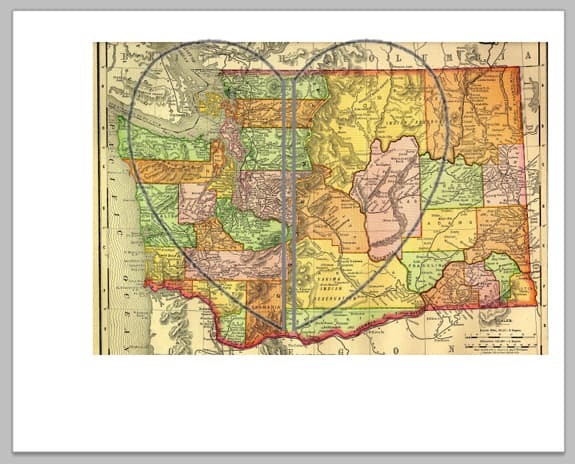 There are a lot of different combinations to use hearts and maps in different layouts. 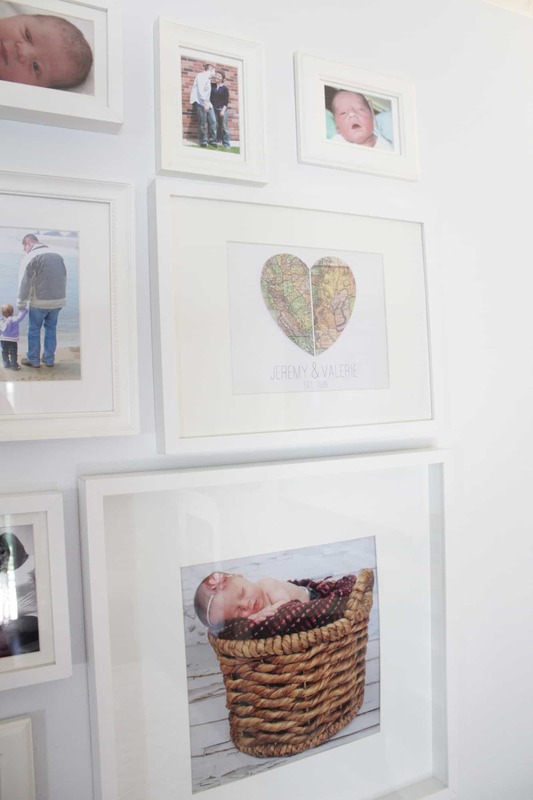 Like this large heart artwork or these mini hearts art, but my favorite (which also happens to be a dynamite wedding gift) is the split heart art. I decided to go about putting my own together so that I could make them for friends and family. 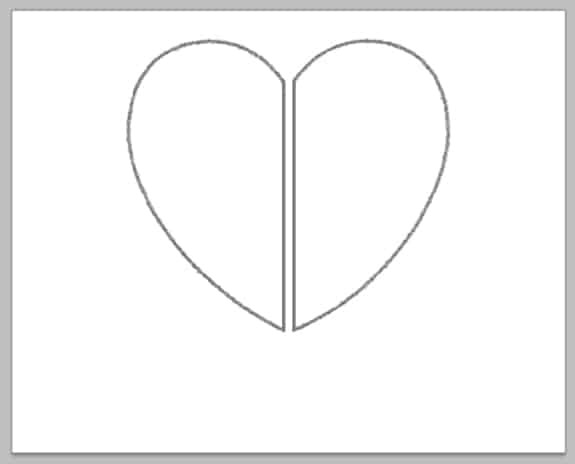 I started in photoshop with an outline of a heart. 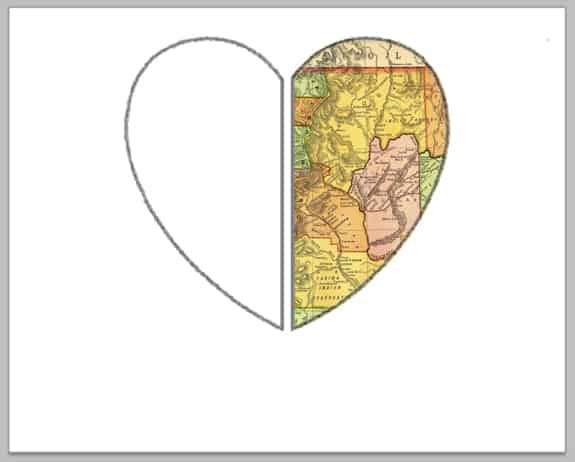 From there I split the heart into two sections. Erase all the excess map from around the outline. 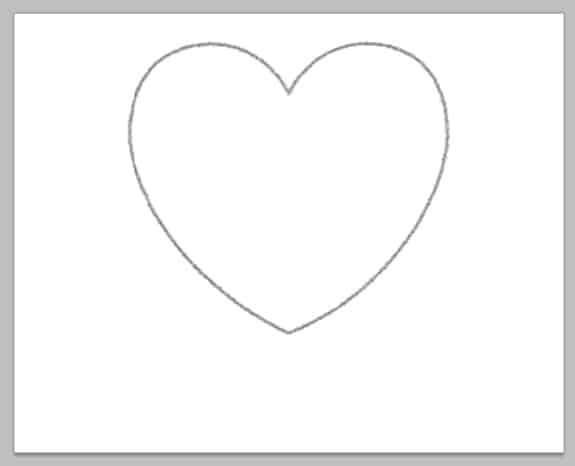 Add your text and remove the outline. At this point you can print it out as is, but I go a step further. 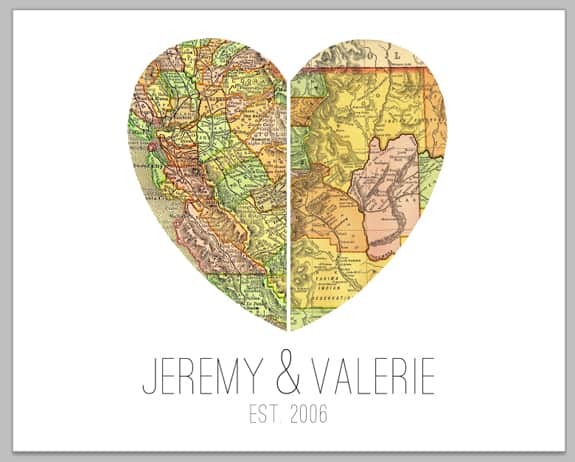 I like to print out just the heart, cut it out, put foam sticky pads on the back, and attach it to a paper printed with just the text (I like to use a textured pearl paper to print the text on). 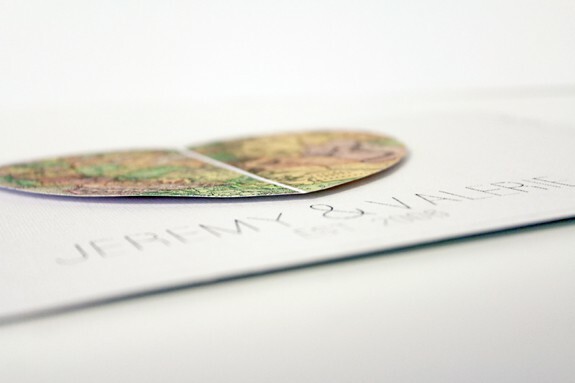 This raises the heart off the paper and gives a nice 3d effect. Throw it in a frame and you’re done! 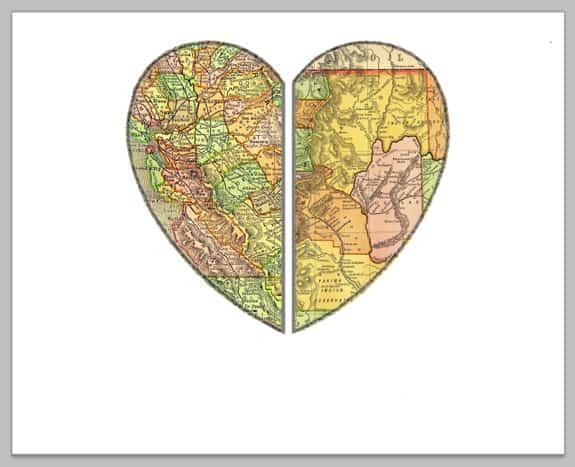 If you aren’t familiar with photoshop you can print out your maps from a word program and trace a heart over them before cutting them out.